Swedish greaseproof paper with a graduated golden stripe pattern provides an elegant accent for your pastries, cakes, and other baked goods. 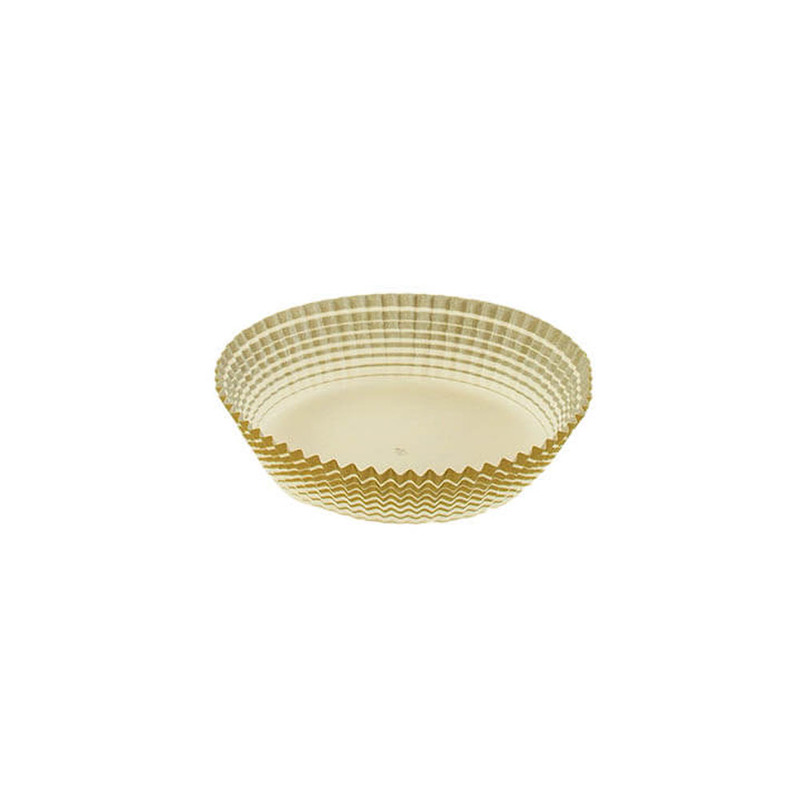 Novacart, the world leader in disposable and paper baking supplies and accessories for professional bakers, presents their Round Paper Gold Patterned Cups. Though suited for baking, this pastry baking cups paper has been designed to add a decorative accent to your pastry display. Gold printing is present on the outside of these decorative baking cups only, as interior printing is not recommended for food use. The bakeware is recyclable but not compostable.